Bruce the Bug Guy will be presenting "The Bug Show" at the Annandale Library on Friday, October 17th from 10:30 to 11:30 AM. The Bug Show is specifically designed to teach young audiences about insects (and related arthropods) in a fun and entertaining way. It's a dynamic blend of Show 'n Tell, storytelling, interesting facts and fun hands-on activities that include live critters from Bruce's arthropod zoo. Bruce uses an assortment of attention-getting props and images, including preserved specimens (displays) of local and exotic insects and live arthropods from his critter zoo. Bruce also uses hand puppets, plastic insects, tasty insect snacks and other appropriate items to capture the interest of his audience and to help emphasize an idea or concept. 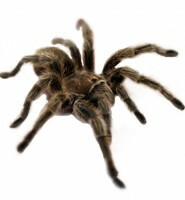 The Bug Show is designed for children aged 3-12. This is a Legacy event.